My cat, Pipi, died on Wednesday, 19 November, just 10 days after we took her to the vet for a routine check-up and vaccination. I know it’s crazy and crazy it is. People who have cats with hyperthyroidism – please check with your vet to start them off with low dose of anti-thyroid medication first, especially if your cats are small. The new vet at our local practice just wagged Pipi with the highest dose and the side effect was too severe that it could not be reversed for a tiny cat like her. I was angry and still am that the vet who we should be able to trust basically killed my cat or shortened her life. 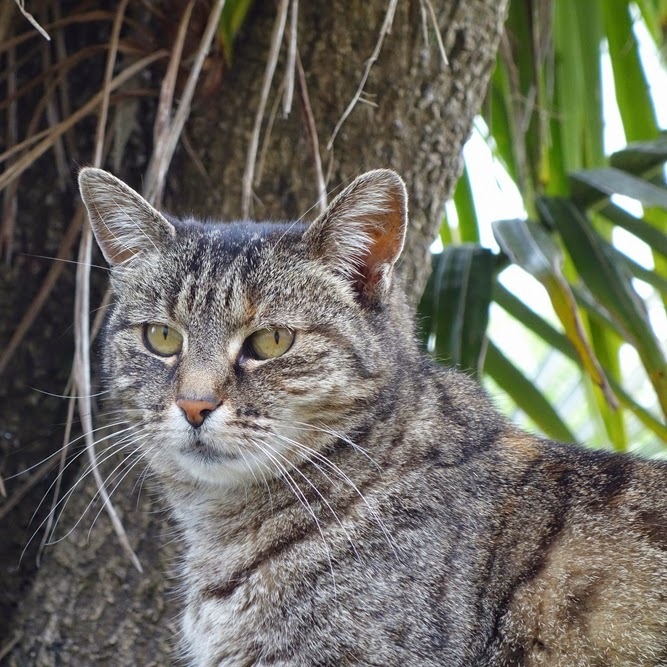 She would have lived on for months if not years with hyperthyroidism. But that aside (I will probably write about this later if and when I have a heart to do it) – for now I just wanted to write about how this little critter taught me to love cats. I started writing this post many times and could not finish it until today (I hope). She died one month today. It’s still sad to think about her but time will help. We moved to town from the country with our old dogs 8 years ago. I was not a cat person (Pipi was the first cat in my life) but Bob has always been. He could not help stroking and of course feeding this cute tiny cat (she’s about 4 kgs when she’s the fattest) with yummy treats. And after sitting on the fence for a year, Pipi decided to move in with us. She belonged to our next door neighbour’s son – who left her with his mum when he went to work in Australia. We still had three old dogs living with us then but she approached the dogs softly, softly so it had never been a problem. After a year of moving in, she chose to attach herself to me. Bob said she preferred my service than his. I did not notice how she wormed her way into my space – my side of the bed, my office, my kitchen and my heart. She would leave the bedroom early at 2 or 3 o’clock in the morning but when I got up at 6 or 7 she would come running into the bedroom to greet me. She would go into the bathroom with me and this cat was claustrophobic! I learnt how to move around cats (don’t move to quickly, mum, you make me dizzy), how to pick them up (yes, there, and not upside down either), how to stroke them (under the chic, dear, save tummy for last when I trust you more than this, OK? ), which kind of food to feed them (steak is OK but I would have love it raw, next time, perhaps?) and how to love them, cats (me, me, me – Bonnie and Bob are nothing to you). Not only me, who has learnt - when the last of the old dogs died, we have got a 5 month old puppy from the on-line trading place. Bonnie was young and pesky then like puppies are but Pipi gave her a lesson or two without harming the dog and Bonnie has learnt how to live and respect cats ever since. The last night of her life, she did not have enough energy to climb the stairs to the bedroom but waited for me at the end of the stairs. We knew the day before that we had let her go and the fact that she could not come up to bedroom confirmed that. She spent her last few hours in my office sleeping peacefully – it’s one of the places in the house that she felt safe and secure. My office, my bedroom, my bathroom seem empty without her – for a tiny cat, she left a big hole in my heart. Sleep in peace, my darling. Thank you for bringing joy to my life.